The International Space Station is seen from a shuttle in this July 19, 2011, file photo. 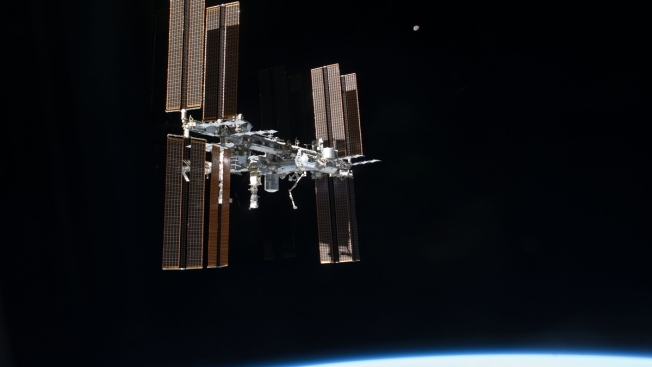 Russia's top space official says that last week's air leak at the International Space Station was a drill hole that happened during manufacturing or in orbit. 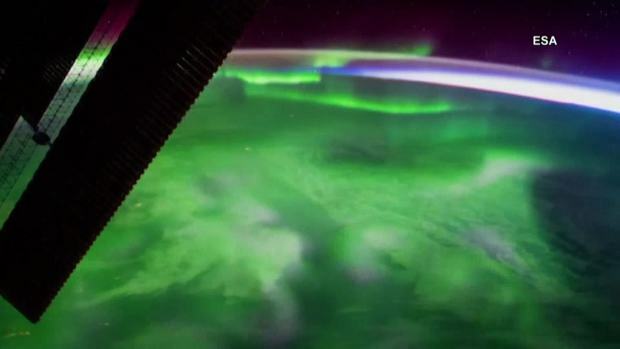 The European Space Agency has released these images of the Aurora Borealis shot from the International Space Station. The phenomenon occurs when electrically charged electrons and protons in the Earth's magenetic field collide with neutral atoms in the upper atmosphere. A representative for NASA declined to comment on the Russian reports, according to NBC News. The agency said last week that a commission would investigate the source of the leak.